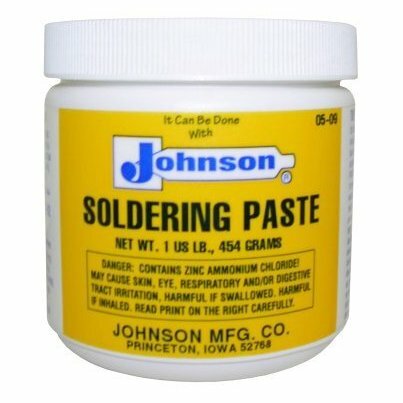 Johnson's Soldering Paste Flux contains a balanced formulation of inorganic chlorides in a pure petrolatum base. This grease type paste flux, known for its light color and soft composition, is preferred by many for sweat soldering copper joints and brass fittings. It becomes active enough when heated, to pull solder deep into the joints, yet its residues are considered mild because they do not turn copper green.